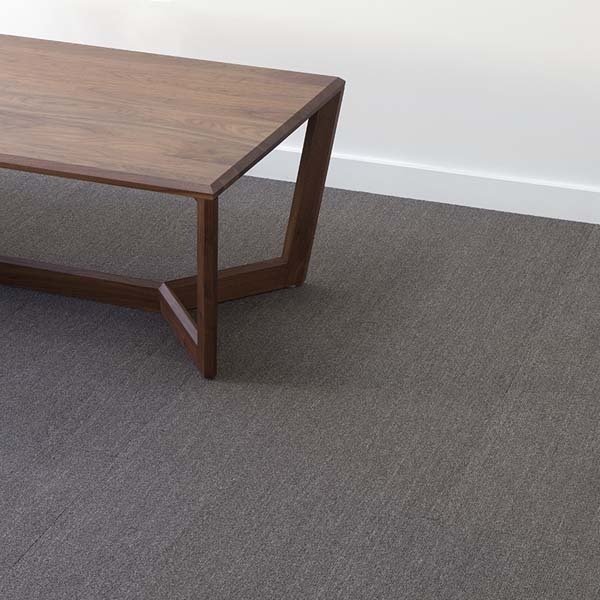 Check out the great commercial flooring options from EF Contract! 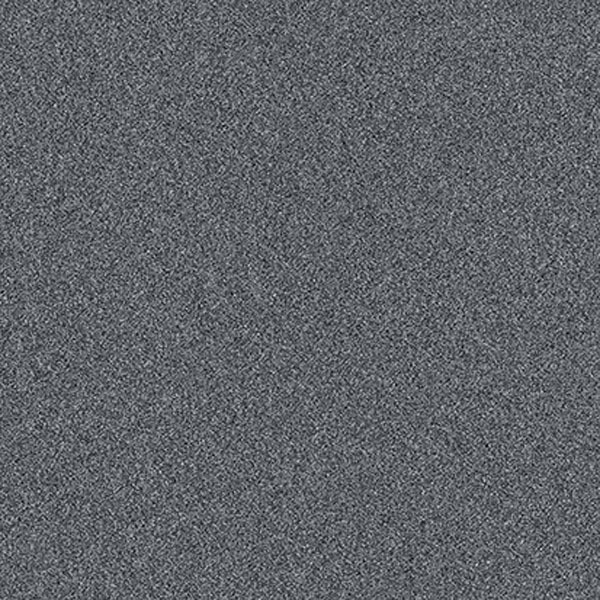 Foss Floors creates non-woven needle punch floor covering and specialty flooring products. The company has an unwavering commitment to environmentally sustainable, American-made manufacturing. The computerized production facilities in Rome and Chatsworth, Georgia use 100% recycled PET polyester. The polyester comes from post-consumer plastic drinking bottles. 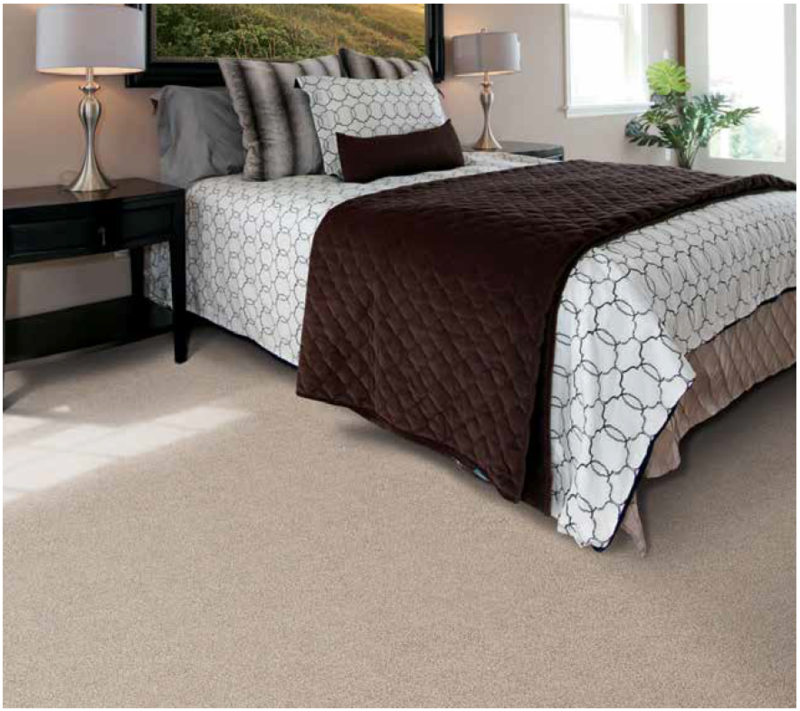 Carpets from Foss Floors resist deterioration caused by mold, mildew, and odor. The products are durable, will not unravel, built for stretch-in installation, and you can cut them to fit any area. Carpet Express recently renovated the showroom at 915 Market Street. 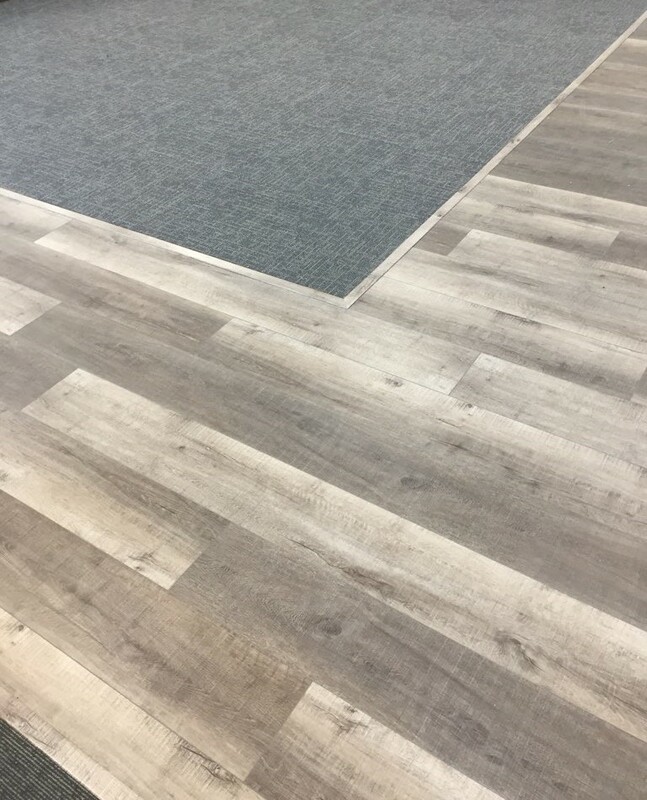 The products used for the flooring are from Pentz Commercial and Engineered Floors Hard Surfaces. 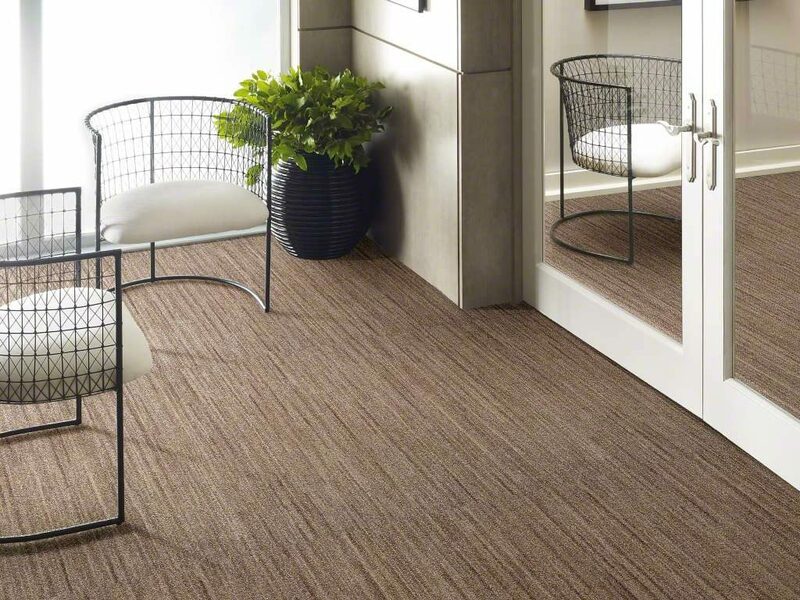 The luxury vinyl tile and carpet tile compliment each other well, and they really add a sophisticated look to the space. 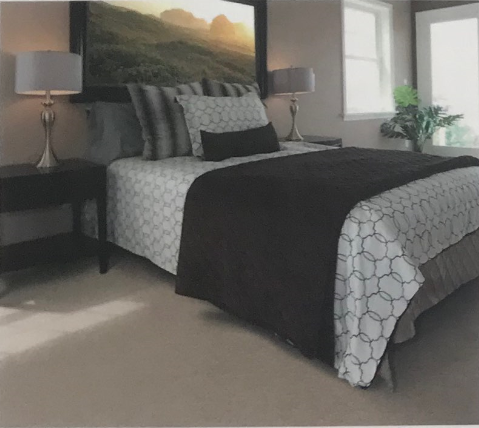 The carpet tile from our Showcase Pentz Collection is High Velocity Modular in the color Magazine. 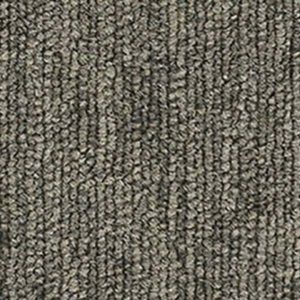 This product is 24 inches by 24 inches wide and features the fiber Encore solution dyed Ultima Nylon. 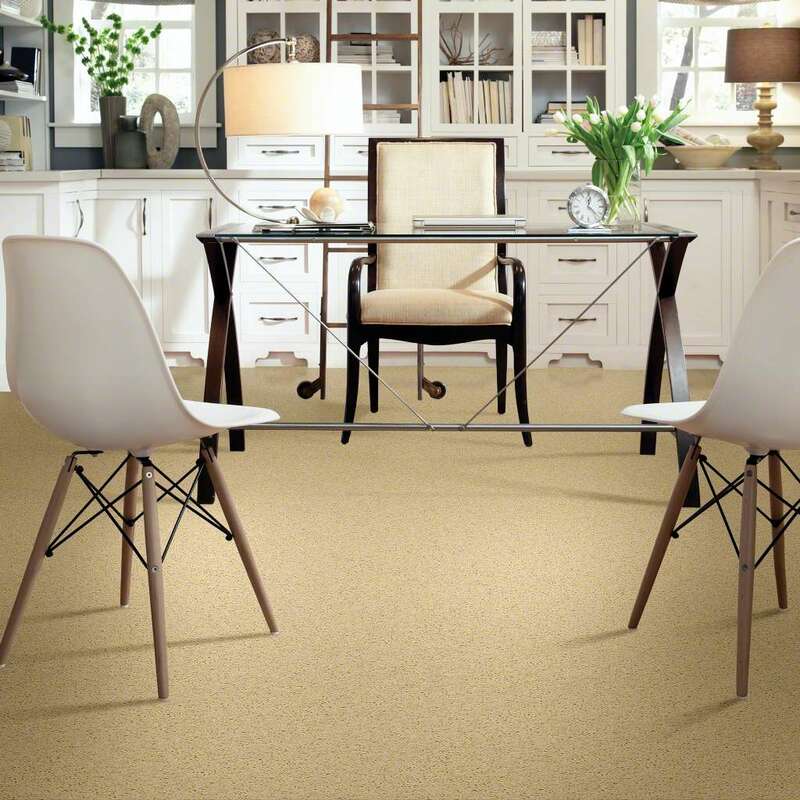 This carpet tile is made in America, and it is stain-proof and Green Label Plus certified. The U.S. General Services Administration (GSA) serves as the purchasing arm for the U.S. government. 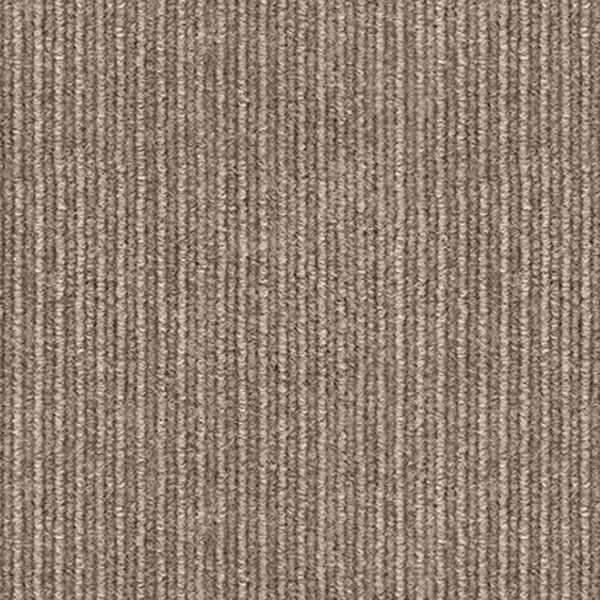 Broadloom carpet and carpet tile purchased by the government must meet the Gold Level certification requirements of the NSF/ANSI 140 standard as part of the GSA’s overall Sustainable Acquisition Goals. 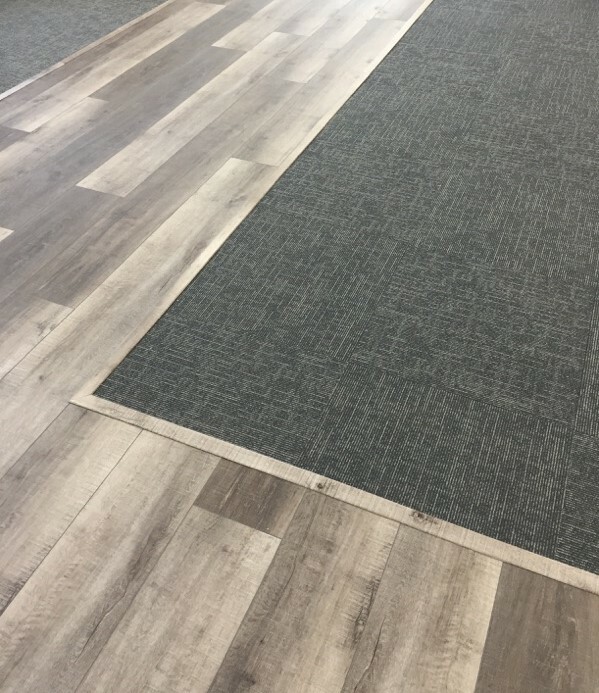 GSA requires that all flooring options purchased through the agency must meet sustainability requirements. 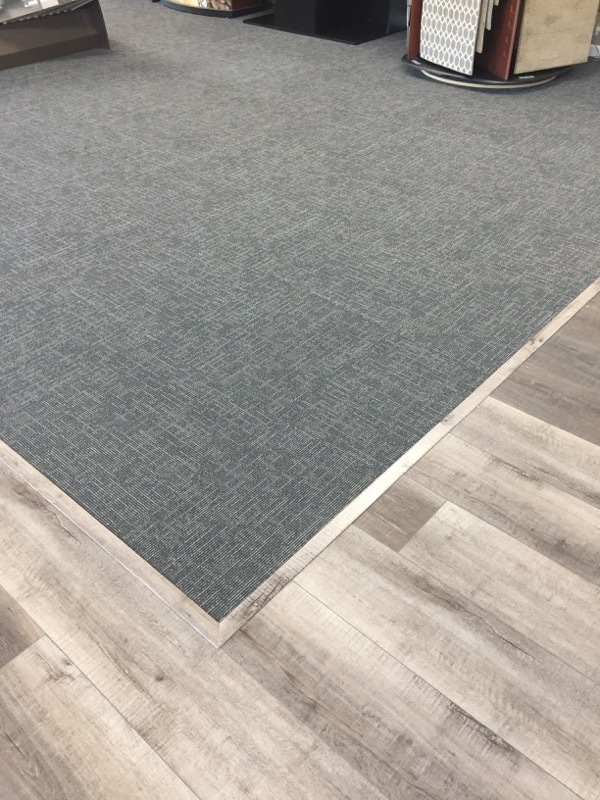 The GSA approves other types of flooring as well such as carpet padding, luxury vinyl tile, and sheet vinyl. 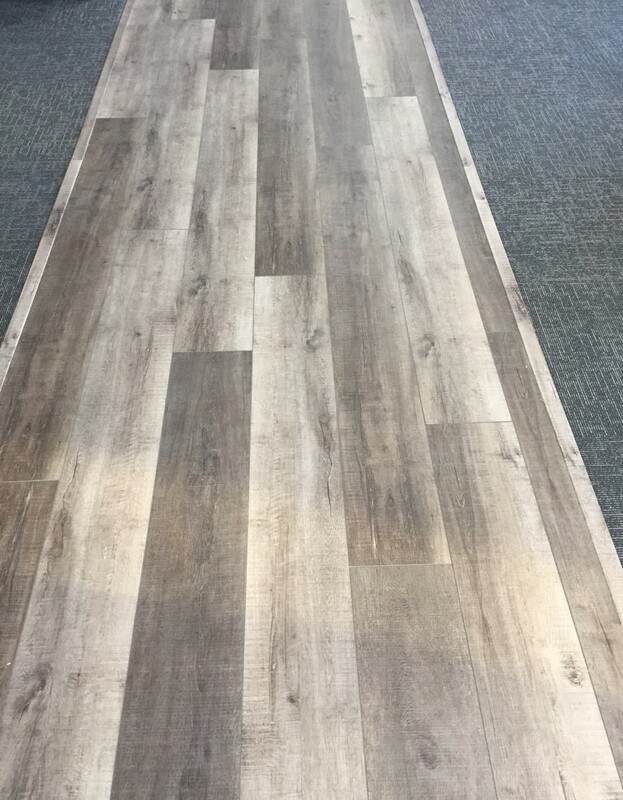 The flooring options available are under the Schedule 72 – Furnishings and Floor Coverings on the U.S. General Services Administration website. 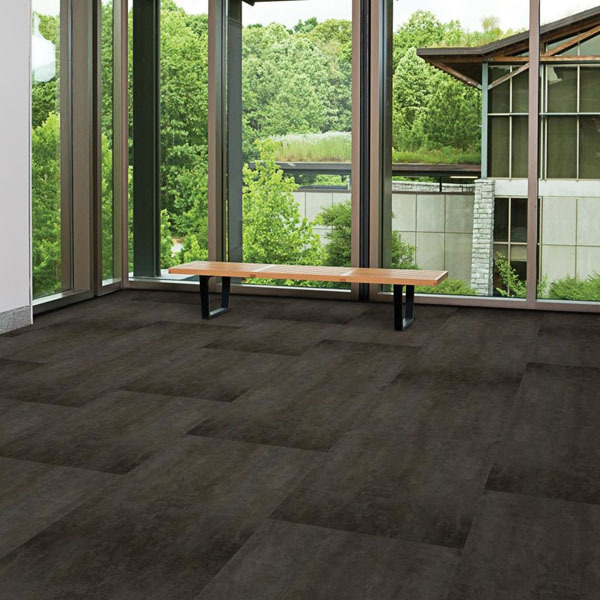 We sell many GSA approved products from companies such as Shaw, Mohawk, Interface, Mannington, and other manufacturers. 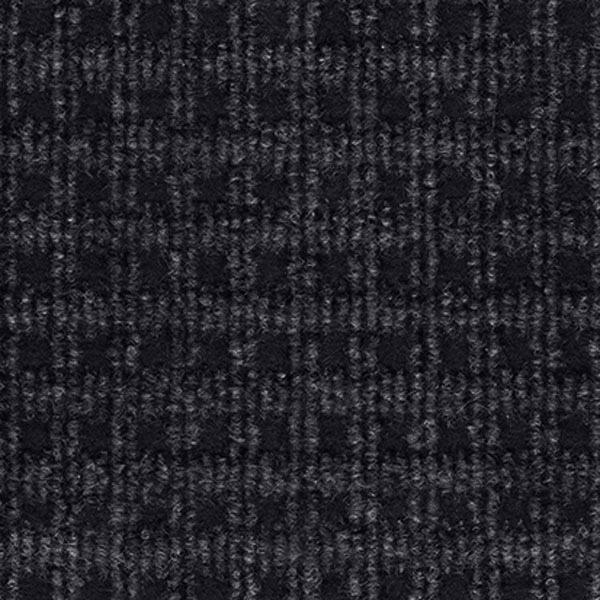 Interface may manufacture carpet, but they sell design. 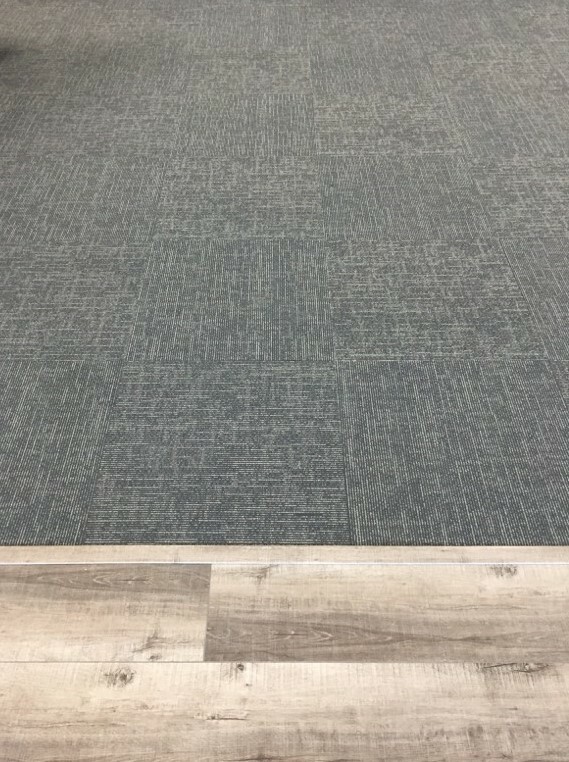 As one of the most trusted names in commercial carpet tile, Interface has led the industry in design, sustainability, and high performance carpet tile. 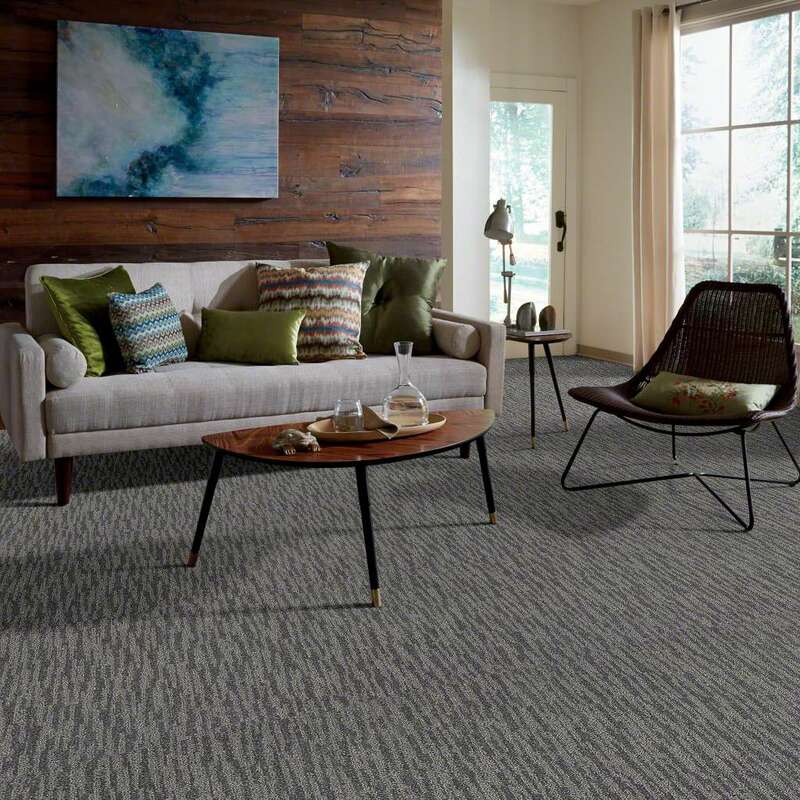 Carpet Express is excited to offer Interface Carpets to our customers. Call 800-922-5582 today! Interface specializes in less is more. 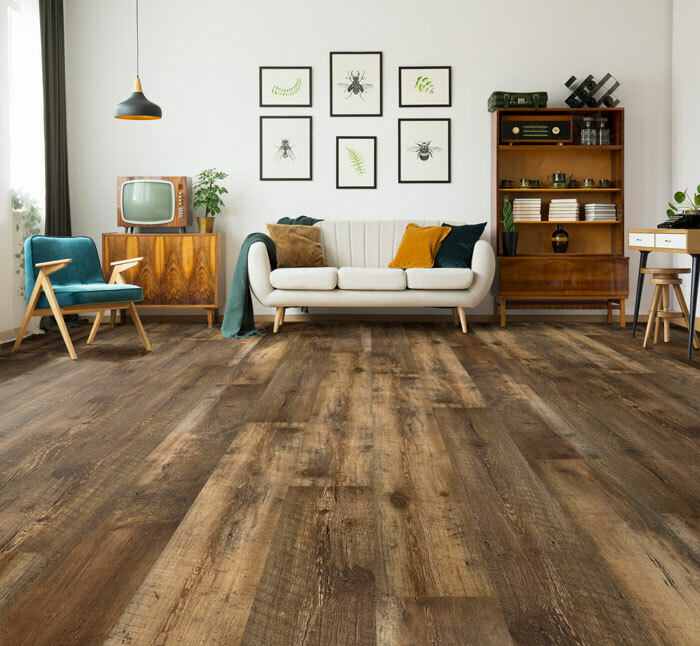 The company uses fewer resources and constantly strives to use more sustainable flooring solutions. 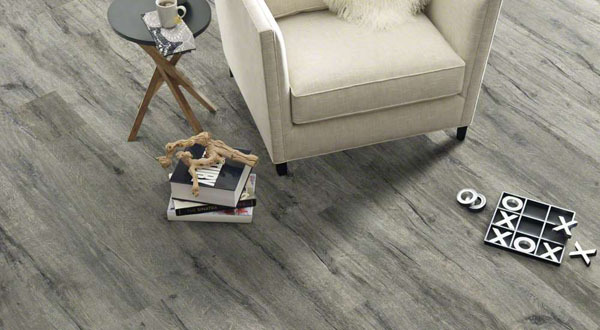 The company introduced TacTiles, which are a glue-free installation system. 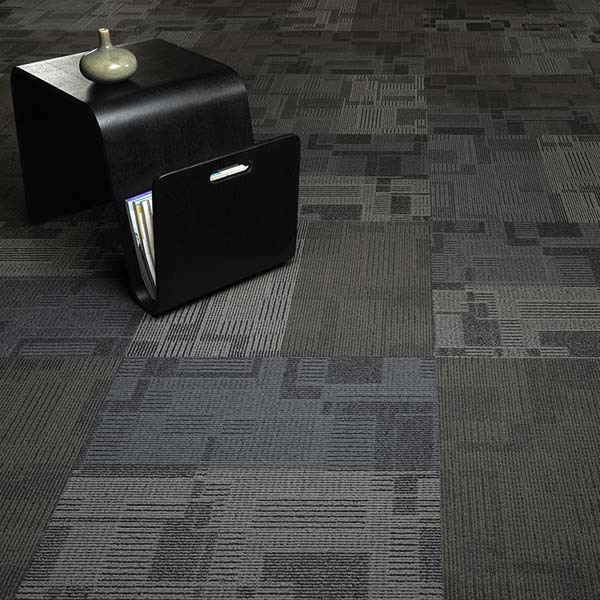 TacTiles adheres carpet tiles to one another to create a “floating” floor, which provides better flexibility. 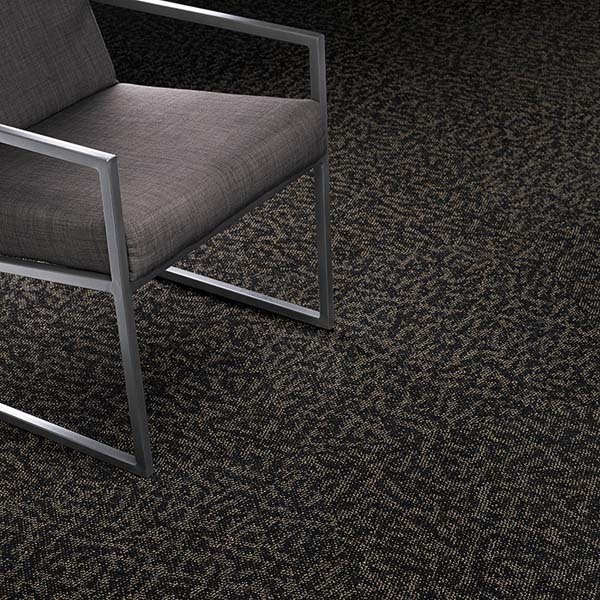 The company also created Cool Carpet, which is their climate-neutral carpet tile program. 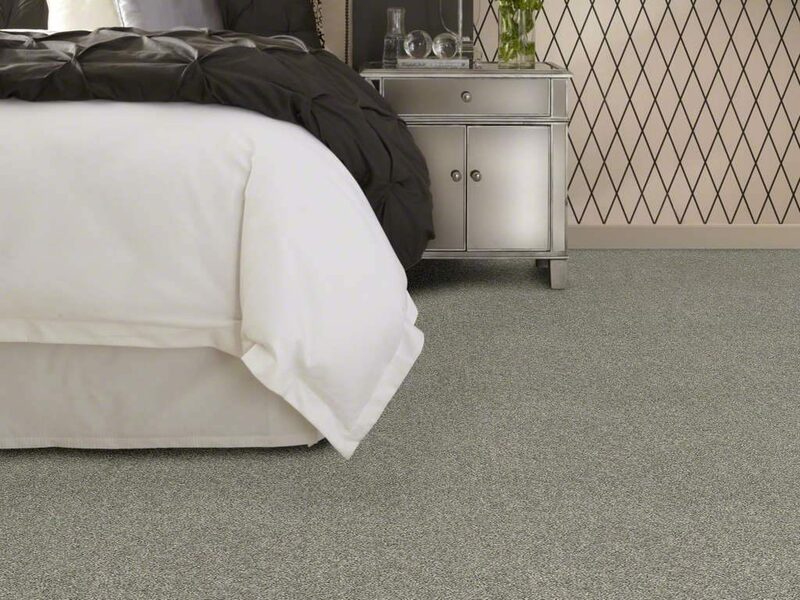 This program zeros out all greenhouse gas (GHG) emissions associated with the entire life cycle of the carpet tile. Interface also has Intersept, which is a powerful preservative that is safe and effective at protecting carpet tile from mold growth and odors. 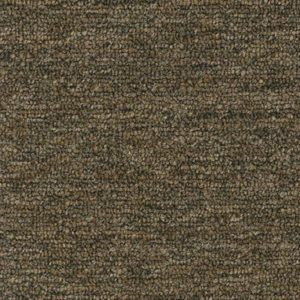 In addition, the company uses ART, their proprietary Appearance Retention Test that effectively stimulates years of soiling, wear, and routine maintenance to test the durability of their carpet tiles. Interface focuses on a business model that is renewable, cyclical, and benign. The company focuses on new technologies and systems that reduce or eliminate waste and harmful emissions. They also increase the use of renewable materials and energy sources. The company’s Mission Zero promise is to eliminate any negative impact the company has on the environment by 2020. 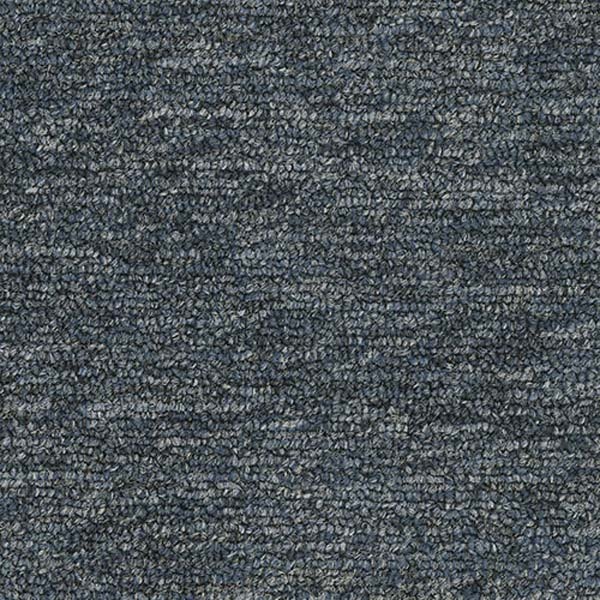 Check out our collection of Interface Carpet Tile. 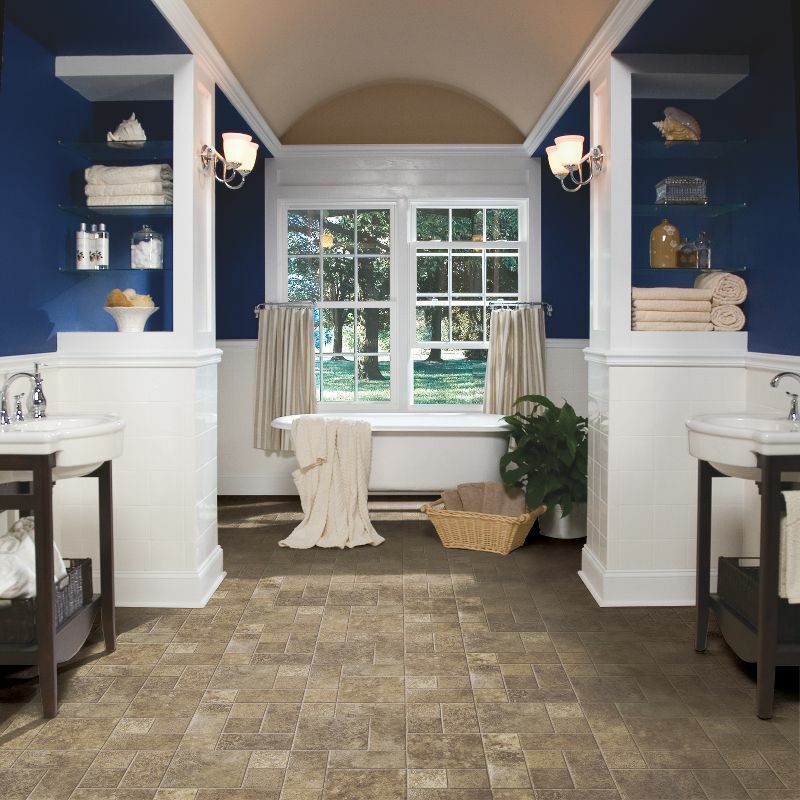 Check out our collection of Interface Luxury Vinyl Tile.